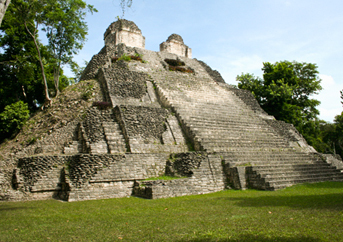 Surely you have been wondering where and what costa Maya is. Well, costa Maya is the name of the port and private commercial area located in the fisherman’s village Mahahual just 2.5 km (1.97 miles) away, and 351.5 km (218 miles) south Cancun, 202 km (125 miles) north Belizean border. 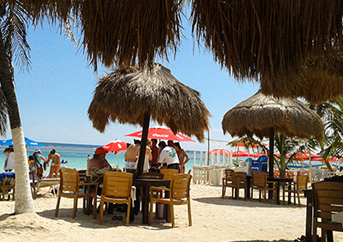 Costa Maya has become one of the most important ports in Mexico, in recent years Mahahual has been visited by a large number of cruise visitors and has been through many changes, but it still has the charm of a Caribbean town. Since Costa Maya is a private port, no local companies are allowed inside, that is why we, Tucan costa Maya are located a few steps from the security gates of the port. Mahahual is a small fishing village located in the Sothern state of Quintana Roo, 69 km (42 miles) away from the archeological site of Chacchoben and just 10 min away from costa Maya port. Mahahual town has beautiful White sand beaches where you can enjoy a sunny day at the beach doing some water sports like snorkeling at the reef, scuba diving, wave runners, boat rides or even fishing, relax under a nice palapa while enjoying a nice cold drink or just shop around at the flea market and with the local artisans to take something nice back home. Mahahual is a small but beautiful fishing village with a vast marine life in the coral reef that forms part of the Mesoamerican Reef, second largest in the world after Australia, which is located only few yards away from shore. A lush jungle and mangrove surrounds the beautiful town of Mahahual, it is the home of a large variety of flora and fauna such as jaguars, deer, tapirs, badgers, Eagle hawk, toucans, parrots, spider monkeys, howler monkeys, amazing orchids, medicinal plants and ancestral trees. 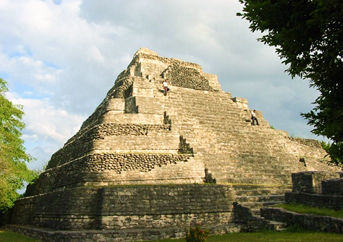 From Mahahual you have easy access to the most important and majestic Mayan Ruins from the south of Quintana Roo such as Chacchoben, Kohunlich, Dzibanche and Kinichna. 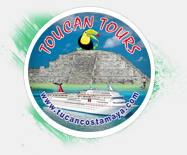 El Tucan de costa Maya is a 100% Mexican company with more than 14 years of experience, it is within the first local companies to offer tours to the Mayan ruins, our commitment to personal service makes us stand out from the crowd. 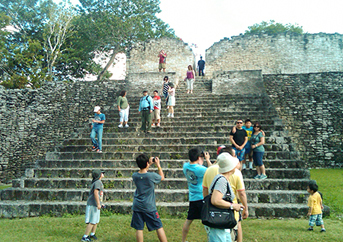 We offer a variety of cultural and adventure activities such as tours to different archaeological sites found in the proximity of the Costa Maya such as Chacchoben Mayan Ruins, which being the closest to the port is one of the most popular and requested by cruise ship visitors, as well as the different water activities. 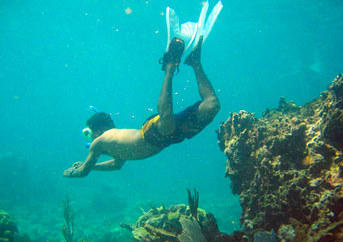 In El Tucan de costa Maya, we are committed in supporting our community. We want to reattributes to the community by giving back a little to the needed sector, if you would like to join our sustainable plan contributing directly, you can bring along your donations such as school items, clothing, shoes, toys or other items that might be helpful for the people. The company contributes as well to the community of Chacchoben by a donation fee of $1 usd for all the guests we take to the site. If you would like to make it personal, please let us know in advance so we can make the proper arrangements in the tour. Thank you for supporting local companies, that is how we can continue doing what we love. For more information, CONTACT our sales representative.